Who Wu! Coming To Target and More! ←Click Here For Fashion Preview Slideshow. Jason Wu is the latest designer coming to Target. Wu, designer for such notables as First Lady Michele Obama, Diane Kruger,and Natalie Portman, has produced a collection of 53 pieces ranging in price from $19.99-$59.99 with the theme American Girl In Paris, arriving at Target Stores and its’ online site February 5th. Target has lured designers beginning in 1999 into its’ retail stores in recent years and Wu is its’ latest offering. Wu’s line, unlike the recognizable Mossimo stripes, will not be as easily identified, but will be a very youthful and sport classic lines. In yet another move to spark sales, on May 6 Target will be offering limited items from well known specialty shops such as The Candy Store in San Francisco, The Privet House home accessories of Connecticut; The Webster House, an apparel store in Miami; Polka Dog Bakery in Boston; and The Cos Bar, cosmetics in Aspen. Additionally it will test market Apple stores in 25 of its’ stores. MDM Says: If you want to have a chance at getting any of the Wu designs at Target, you will have to act fast on February 5th since not only buyers scoop the deals, but also speculators to resell on Ebay®. One of MarkdownMom’s favorite TV sites this Fall is the Nate Berkus Show. We first became acquainted with Nate as a designer through Oprah’s Makeovers and he carried that success by developing his own decorating line, and now voilà we get his design expertise daily and so much more from his television show! Here’s an hour well spent, get design tips on decorating and organizing small spaces, problem-solving and diy tips, fashion revamp, recipes, and great sweepstakes to enter like the $45,ooo Kitchen Makeover! Love, Love, Love This Show–And You Will, Too!!! Beauty schools, or more properly, cosmetology schools not only provide the next generation of stylists, but provide folks on a limited budget or simply looking for a great bargain, affordable beauty services. 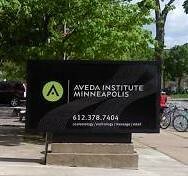 MarkdownMom recently visited Aveda Institute in Minneapolis, Minnesota for a little pampering. The Aveda Institute offers not only hair styling and hair cuts, but facials and message, and waterless manicures. Plus they use their fabulous line of products to achieve your beauty refresher or makeover. Prices are usually 50% below the market. It can get crowded on weekends, so MarkdownMom recommends if at all possible make an appointment during the weekday. And when you do,be sure to tell Mike & Courtney “hi” from MarkdownMom! With more and more of us cooking at home which is not only economical, but healthier since you can control the ingredients and portions, inevitably there comes a time when you need to expand your meal repertoire. If you have ever heard the words such as “not again” to your dinner selection, then you know it’s time to make a change, to spice it up, and take your family’s palate to where it has not gone before. However, buying new exotic ingredients does not spell success in and of itself, you need to know how to play with your food menu like the professionals. Just entering Midtown Global Market in Minneapolis an array of colors and delicious aromas assault your senses bringing to life your urge to explore. 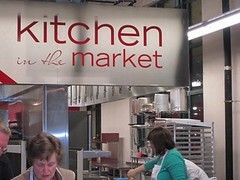 Conveniently located in the Global Market next to stores with exotic cooking ingredients is the appropriately named Kitchen In The Market™ where you can learn to create and eat spectacular fare from professionals. Learn what it is like to work in a professional kitchen, incorporate those exotic Global Market ingredients, expand your palate by exploring the world and honing your culinary skills. Classes are a great way to circle the world one dish at a time. Classes continue throughout the summer. Food Co-ops are a great source for fresh organic food, but not all are created equal–some are more equal than others. 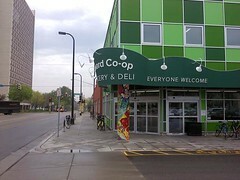 Seward Co-op, located at 2823 East Franklin Avenue, Minneapolis,MN, offers an array of fresh food and new products. This store not only continues to offer spices and teas in bulk, has one of the best deli buffets where you can sample the hot before buying, but continues to look for new products worthy of their customers. MarkdownMom recently visited the Co-op and experienced a sensory overload to all the wonderful aromas and bright colors of its current inventory. Can’t find something? Just ask their knowledgeable and friendly staff, but above all just enjoy! MarkdownMom Exclusive: For those of us that have been looking for a local source of farro, MarkdownMom was told by the buyers at Seward that they expect to have a supplier in a month. Farro is one of the most nutritious grains and following the historic adage that an army marches on its’ stomach, this was the principle fare of the Roman Legions. Farro is usually soaked before being prepared, unlike spelt which it is often compared with, but also unlike spelt it remains chewy not mushy when cooked. 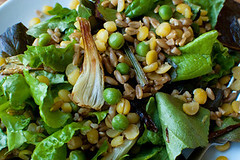 Farro is a very versatile grain and can be used in soups, salads, as a vegetable dish, or as a substitute for rice. When You Visit Seward’s Please Tell Them MarkdownMom Sent You! MarkdownMom recently viewed The Prince of Persia: The Sands of Time, out on DVD, and although it has been reviewed as a close, but not completely terrible movie, there are some reasons for renting it. It’s a real surprise to see Jake Gyllendhaal as beefcake, his physical portrayal of the Dastan character in this film is a far cry from the more sensitive, cerebral roles that he is noted for. The dialogue contains too many modern expressions to make the time period credible. And it’s surprising to find notable actors such as Ben Kingsley, the chief antagonist, Alfred Molina, and others in this video game genre movie. If you like a lot of action with some fuzzy special effects scenes, then you should enjoy the film. Although its’ pluses are quite limited, it’s worth renting at the RedBox for a buck, but make sure you get it back in time because it’s doubtful it’s worth $2, unless you’re desperate for entertainment. Book lovers, pet lovers, and those interested in learning more about American Indian arts, culture, language, and history will love Birchbark Books located near Lake of the Isles and Calhoun Lake in Minneapolis. Owned by the famous American Indian novelist, Louis Erdrich (Turtle Mountain Band of Ojibwe), customers travel from all over the country to visit her bookstore. She is the author of several fiction novels, poetry, and children’s books and was named a finalist for the Pulitzer Prize in Fiction for her 2009 novel, The Plague of Doves. Her artistry takes on features of William Faulkner with present-day Native-American fiction. This unique mixture is presented in the many characters that are repeated throughout her works and narrated in their voice, moving back and forth through time. In store you can browse diverse topics ranging from Minnesota plants, geology, and history; American Indian culture, language, and history (with special focus on Objibwe and Dakota people); children’s books; young adult and adult fiction novels. Many of the books and book signing events feature upcoming local artists and writers. You can also find signed books for purchase by several authors, including Louis Erdrich. Also in store you’ll find jewelry, toiletries, and other pieces made by local American Indian artists and healing herbs and botanicals such as bitter root, sweet grass, sage, and bearberry. Birchbark Books is the only independent bookstore owned and operated by American Indians in Minnesota. It is unique in that great care was taken to use salvage and non-toxic materials to build the store. The doors are from the ReUse Center in Minneapolis, the globe lights from an old school house, and inside the wooden floor is the original flooring that belonged to a meat market which was the site’s previous occupant. 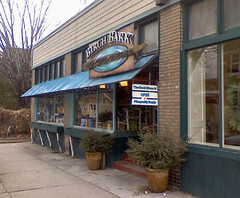 Birchbark Books takes a community-centric approach to doing business, supporting local artists and writers; having employees such as Manager Susan White greet customers with a warm and friendly smile and plenty of stories to tell; and each employee owns a dog which they proudly bring to work with them to greet regulars and newcomers. Drop in and when you do, tell them MarkdownMom sent you! If you are a member of the AFL-CIO, then check out this website. At UnionPlus.org you will find discounts on entertainment, gift certificates, movies, health clubs, electronics, tips, services and more. Plus they have a union locator to locate benefits for members of other unions. Solidarity and Stretching the Dollar! The buying power of many outweighs the buying power of few. This is not a new idea, the big retail chains have always been able to get price breaks over the small mom and pop businesses. Small businesses in recent years have joined together to get deals on health care insurance for employees, though I am not sure that “deal” and health care insurance belong in the same sentence. However, I digress. Well, we have seen buyers enter into clubs to get deals on products. Hold that thought or rather extend it with GROUPON. This online site offers free membership to buyers interested in their special deals of the day and they can be fantastic deals. If a number of buyers are interested in a particular deal on products or services, sort of like a reserve, then the buyer can purchase it at the deal price to be used later. This encourages you to get your friends in on the deal as well, the more the merrier. 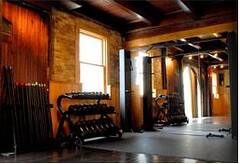 Diversified selection of deals, anything from Bagels to Gym se rvices. Plus it has a business component by offering to small businesses an opportunity to offer a deal of the day and thereby increase their clientele and their sales. Win, win for both consumer and business entity! Offered at present in major metropolitan areas, MarkdownMom foresees expansion and continued growth for this site. So, Get Your GROUPON and SAVE! Covergirl® has unveiled a new line of eyeshadow called shadowblast. A creamy duo stick with liner at one end and filler at the other to give you that smoky look. This product is good for people on the run who don’t want to mess with the flaking of powders. Colors come in onyx smoke (black w/white), silver sky (gray), purple plum, bronze fire, citrus flair (green/bronze), and tempest blue. MarkdownMom tried this product and recommends that if you want a smoky eye, you will need the onyx and the silver sky since the silver sky gray does not give that deeper color near the lash line to give a true smoky look. Under $8.50 at Drugstore.com, best price WalMart.